Good news to all Pink Pandas as A-Pink will be performing right here in Singapore on 22nd March 2014 (Sunday) at The Max Pavilion for their A-Pink Pink Paradise in Singapore concert. Do note that the early bird discount (S$268) for CAT1 VIP Mosh Pit is valid ONLY during this weekend’s ticket launch. Tickets will be available while stocks last. Please note that ONLY CASH is accepted during the ticket launch. Do bring the exact change. A wrist tag will also be issued when you purchase the Mosh Pit tickets. Tickets for CAT 1, 2, 3, 4, 5 and 6 will be on sale from 14th February 2015, 10AM via all SISTIC channels. Click HERE to grab your tickets! 300 lucky fans will also stand a chance to win exclusive press conference passes to meet the A-Pink girls up-close and personal. Lucky fans will be notified by e-mail nearer to the concert date. Don’t miss this chance to get up-close with A-Pink. Do head over to *SCAPE this weekend to grab your CAT1 VIP Mosh Pit tickets! 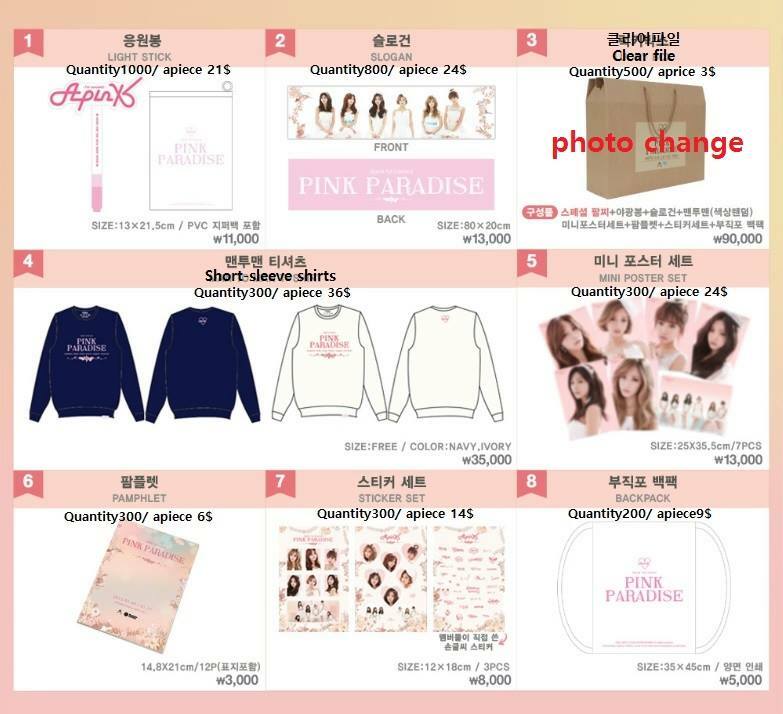 For more information of A-Pink Pink Paradise in Singapore, do follow Three Angles Production on Twitter and Facebook. 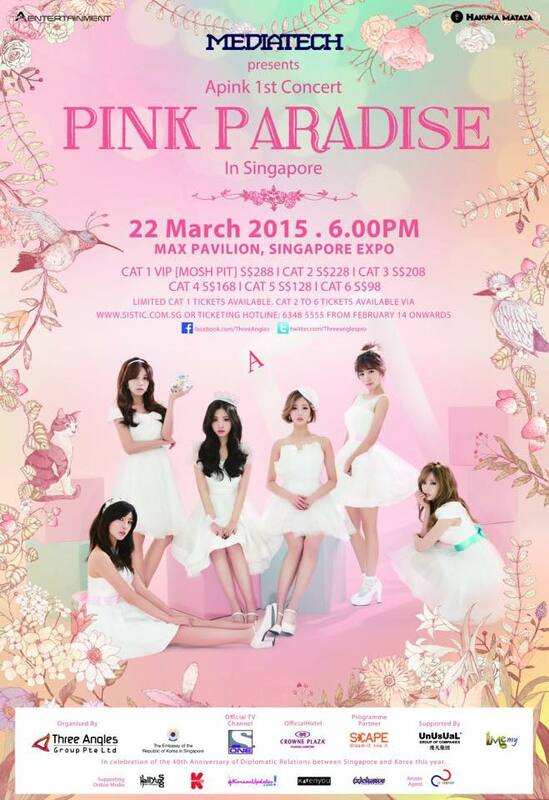 (x)clusive is proud to be the Supporting Online Media for A-Pink Pink Paradise in Singapore! A1 is cat 1 for seating ? ?